EcoFriendly Sask is pleased to provide an EcoFriendly Action Grant of $500 to the University of Saskatchewan Planning Students’ Association to help cover expenses for CurioCity, a two-day, community-focused conference on March 22 and 23. Their goal is to engage academy, community, and professional urban enthusiasts in a discussion about the urban workings of Saskatoon. 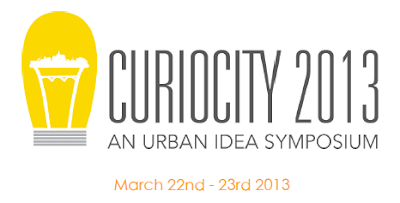 Larry Beasley, the retired Chief Planner for the City of Vancouver, will deliver the keynote address. His talk will focus on the implementation of urban planning ideas, highlighting the administrative and political challenges to getting ideas off the ground and into the city. This will be followed by discussions led by community members, professional planners and students. The conference will address environmentally conscious transportation choices (bicycle facilities design workshop; local food security (community food mapping exercise); and environmentally, economically, and community-sensitive infill projects. “We see a direct connection between the environment and the content of CurioCity, as it is important to educate Saskatonians on how the environment informs urban planning decisions, and how it is a priority that will shape the growth and development of our city,” explain the student organizers. The conference schedule and registration information is available online. The public is encouraged to attend.